Writing is rewriting, and rewriting is self-editing. “But isn’t that the job of the editor after I’ve made the sale?” No. Some writers think running spell-checker is self-editing. Not so much. “But won’t rewriting my work edit the life out of it?” No, but it will catch the eye of an agent or editor as a well-written manuscript and may lead to a sale. Obsessive editing during the writing process will destroy your work. However, after you’ve written the first draft, gain some distance and perspective on your manuscript by setting it aside for a few weeks or a couple of months. Now it’s time to rewrite. Here are my top 5 self-editing tips in their order of importance for polishing your work to a high sheen. Structure: Think of the structure of your work as an arched bridge spanning a great river. If the contractor takes short cuts (such as using less cement, steel, or fewer bolts) because she’s bored with the process and rushes to the end, the bridge is weakened and will collapse. The same holds true for both ends of the bridge. If too much cement is used at either end of the bridge, it will collapse from the added weight. For the purposes of this post, I’ll concentrate on the structure of novels. If the structure of your story is solid, the reader will continue to turn the pages until the ending scene. The material of the structure is comprised of the elements of the story arc (the basic story thread) held in place by a beginning, middle, and end. Pretty simplistic, huh? Yet the three-act structure has worked since Aristotle’s days whether you write plays, scripts, short stories, or novels. Some authors maintain they have a four-, five-, six-, or even eight-act structure. I maintain if you break down the parts of their story arcs, you will discover classic Aristotelian structure. A novel that piques the reader’s interest starts as far into the story as possible. I don’t want to know that the protagonist’s parents left him stranded in a snowstorm when he was a toddler and that’s why he’s terrified of snow (or abandonment). That’s back story. The story should begin with stasis (a state of equilibrium) and then the main character, pressed with conflict, reveals her goal. One of my favorite movies is Indiana Jones and The Raiders of the Lost Ark. The story throws you into the action, and the back story―Indy’s character, profession, the setting, and the antagonist―are revealed as Act 1 plays out. As the story progresses into the middle (Act 2) and the bulk of the novel, you should have rising and falling tension as your protagonist encounters numerous obstacles or crises. The main turning point, or big surprise, comes in the middle of the novel. By this time the reader believes he has the story figured out. You need to turn his assumptions on their head. The major turning point should be such a shock that no one sees it coming. It should keep your reader up at night turning pages. The crises continue. Will he? Won’t she? Oh, no! What will happen to this character your reader has invested her time in? Will everything turn out all right? How will the story ever end on a happy, satisfying note now? Tension mounts and we reach another major turning point before we head into the final third act. Every turning point should be a surprise to the reader. The crises are unrelenting until we reach the climax halfway through the third act. The protagonist faces off against the antagonist. The clash of the titans ensues. A woman faces her attacker or her paralyzing fear. The antagonist is not always a person. A man pushes his wife out of the path of a stampeding herd of cattle. Will he live? You get the picture. Tie up all the loose ends of your storyline in the denouement―the final resolution of the plot or story arc. Is your ending satisfying? Does the main character live happily ever after? If you live and write in America, trust me, she better if you want to succeed as a professional author. Americans are eternal optimists. How will you self-edit your novel to make sure your structure is strong enough to carry your storyline through to the end? 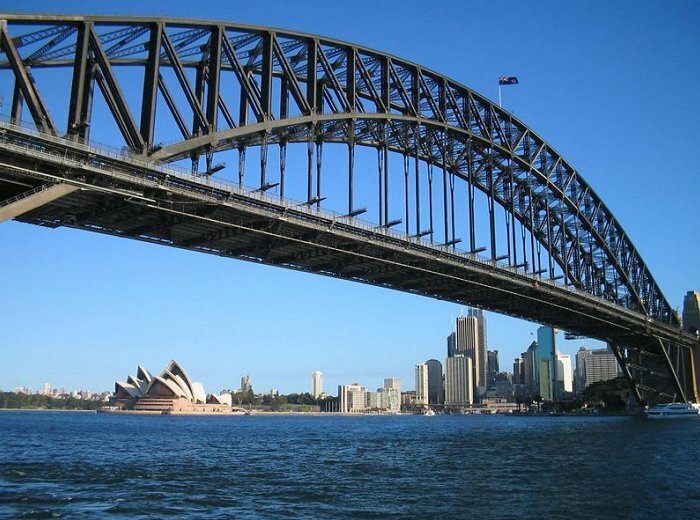 Photo credit: Sydney Harbour Bridge with the Opera House in the background by Ian. This entry was posted in Fiction, Publishing, Writer's Life, Writing and tagged Act structure, Agent, Amish fiction, Aristotle, Barbara Scott, books, editing, fiction, Protagonist, publishing, self-editing, Story arc, Three-act structure, WordServe Literary, WordServe Literary Agency, writer resources, writing, writing fiction by Barbara Scott. Bookmark the permalink. Barbara J. Scott has been a book editor for 14 years. She has more than 30 years of editorial experience, ranging from newspapers and magazines to books. Among her many published works, Barbara is the co-author of best-selling novel Sedona Storm, as well as the sequel Secrets of the Gathering Darkness, both published by Thomas Nelson. Good points, Barbara. I’m smiling because I recently wrote a post explaining how to plot a novel in three acts using Aristotles Incline at my Live Write Breathe site. There’s also an infographic. If you’ll allow me the link, it’s at http://livewritebreathe.com/how-to-plot-a-novel-in-three-acts/. Thanks, Janalyn! I find that structure is a mystery to many authors. That may be because we tend to be right-brained. What a great post. Thanks for the tips, Barbara! I hope it helps as you plan your next novel, Martha! “Obsessive editing during the writing process will destroy your work.” So true! Fiction or nonfiction. Great post, Barbara! I look forward to reading the rest of the story–you hooked me! Ha! You’ve hooked me. I can’t wait for part two. Very helpful. So the entire scene I wrote of a flashback that explains my character’s conflict has to go huh? I guess that’s backstory. Rats. I hate it when that happens. It seems that backstory is a strong vortex for me – I keep getting sucked into one! LOL Yeah, I would say that’s backstory. Let the reader wonder about the character’s motivation as he acts out and pursues the goal. Characters may even lie to themselves about what their true goals are, and it’s through the action of the story that they come to realize their true intentions. I’ve always thought structure was simple, Barbara – beginning, middle and end – but I’ve found even in teaching college composition that it’s difficult for many people to conceive of their writing as a story, no matter if it’s fiction or non-fiction. I love the way you’ve broken it even further down to include what happens in each ‘act’ – crises and turning points and surprises. Thanks for such clear instruction. Hi Barbara, Thank you for the wisdom, I’ll take it to heart on my next book for sure. Right now, I’m thinking about the one I’ve already written and that I hope to discuss with you when I meet you next Thursday in Clarksville (I’m rather excited). 🙂 I do feel my first manuscript developed in the three-act structure, even though, perhaps I didn’t know what I was doing! See you in Clarksville! That’s Tennessee, folks, as in the song, “Take the last train to Clarksville…” by the Monkees. Pingback: Should Novels Read Like Movies? Reblogged this on BARBARA SCOTT.